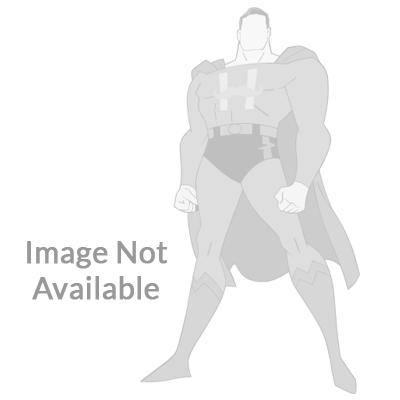 6551 listings found. 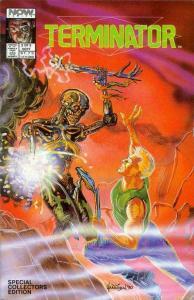 Showing results 193 to 288. 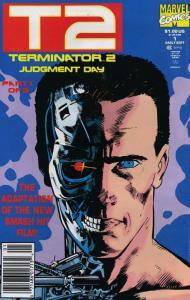 Terminator ALL MY Futures Past (1990 N) 1-2 Scarce! 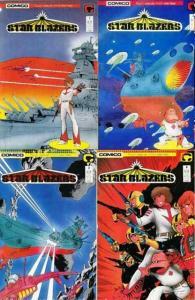 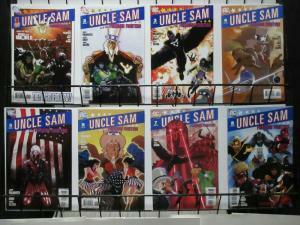 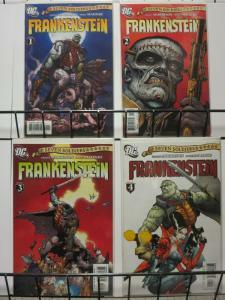 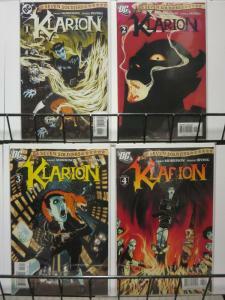 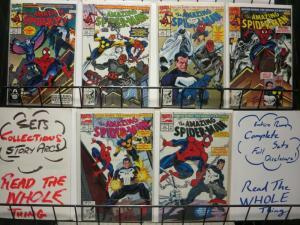 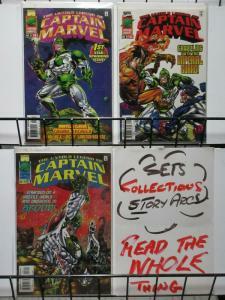 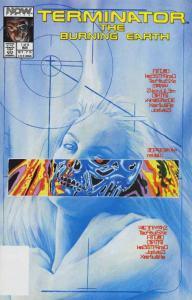 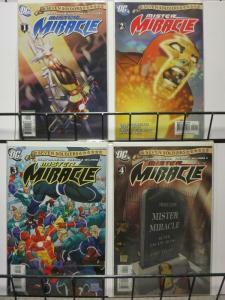 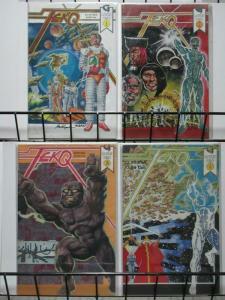 Shade the Changing MAN 59-63 ""nasty Infections""
TERMINATOR BURNING EARTH #1-5 1st ALEX ROSS, complete! 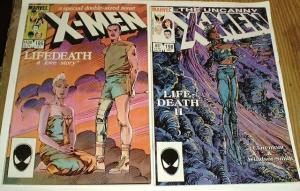 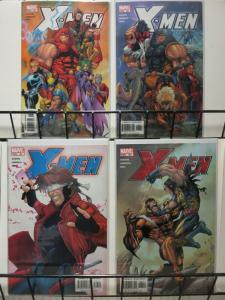 X MEN 425-426 ""Sacred Vows""
Terminator Hunters & Killers (1992 DH) 1-3 Complete! 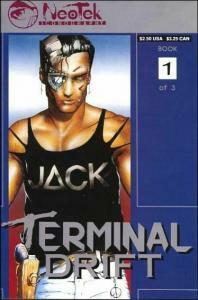 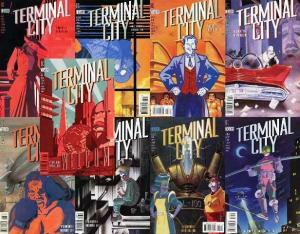 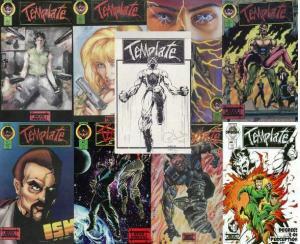 Terminal City (1996 Vertigo) 1-9 Dean Motter Complete! 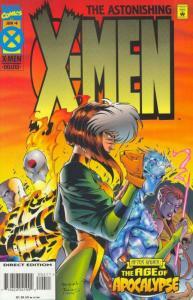 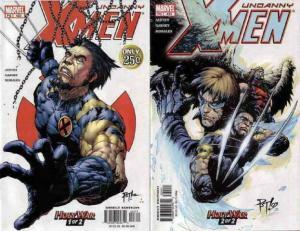 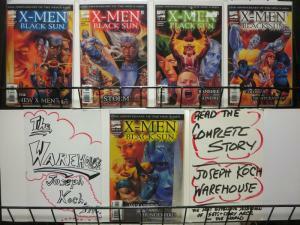 X MEN BLACK SUN (2000) 1-5 25th Anniversary story! 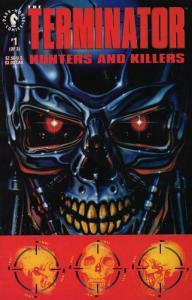 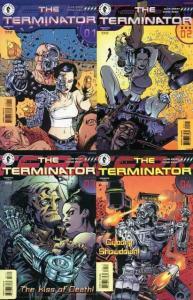 Terminator (1998 DH) 1-4 Grant & Pugh Complete! 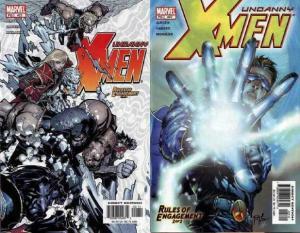 X MEN 442-443 ""Of Darkest Nights""
Star Trek (1989 DC) 35-40 ""the Tabukan Syndrome""
Shade the Changing MAN 45-50 ""A Season in Hell""
UNIVERSE X (2000) 0-12 ALEX ROSS covers! 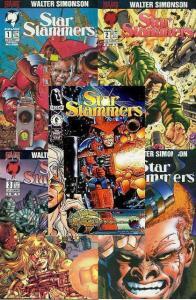 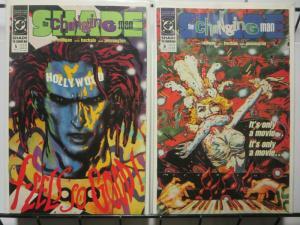 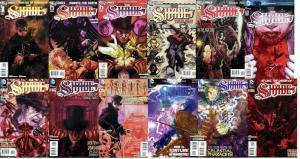 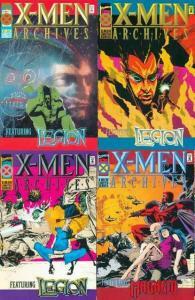 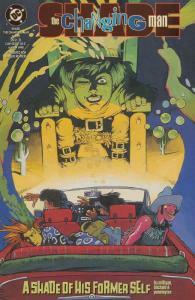 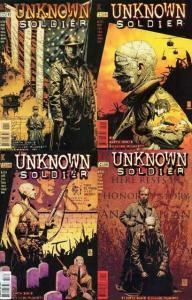 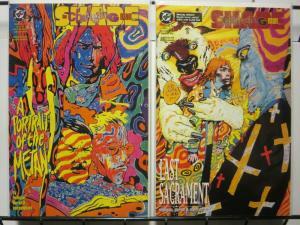 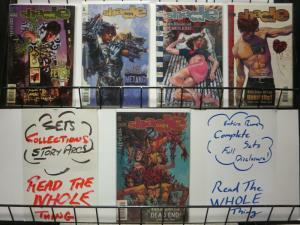 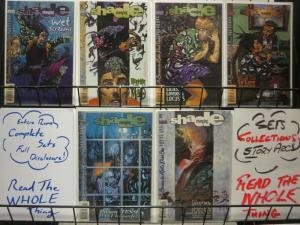 SHADE THE CHANGING MAN (1990) 51-53 ""Morning of Masks""
UNKNOWN SOLDIER 1-12 CLASSIC REVISION! 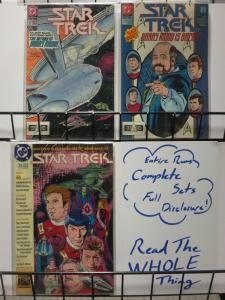 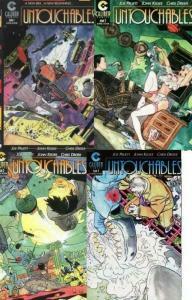 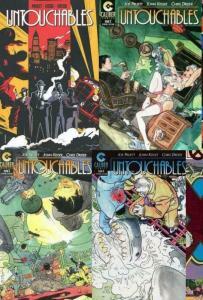 complete series! 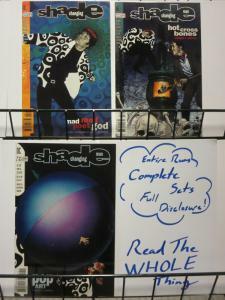 X MEN 437-441 ""She Lies With Angels""
Shade the Changing MAN 5-6 ""hollywood Babble On""
SHADE THE CHANGING MAN (1990) 11-13 ""Edge Of Vision""
SHADE (2011) 1A-12A the COMPLETE series! 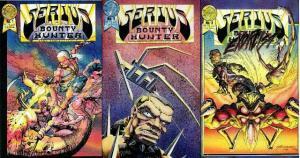 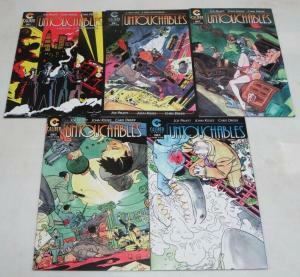 TEMPUS FUGITIVE (1990) 1-4 KEN STEACY Complete Story! 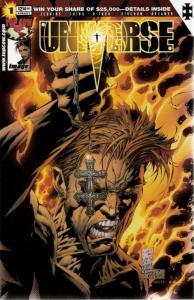 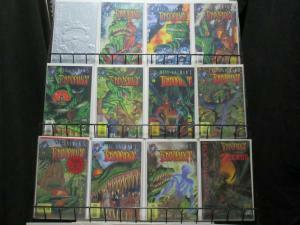 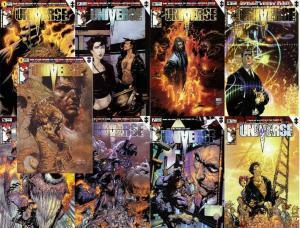 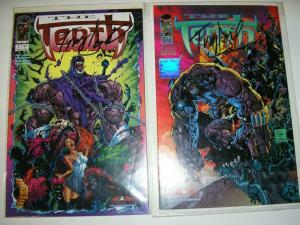 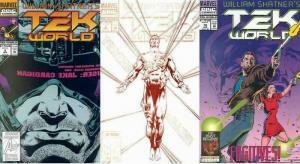 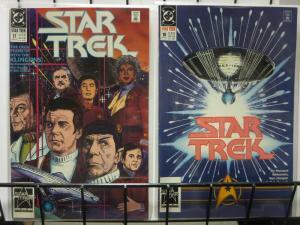 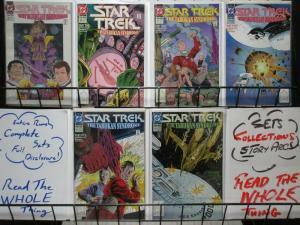 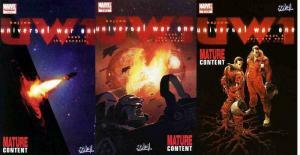 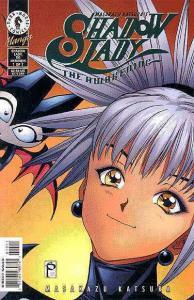 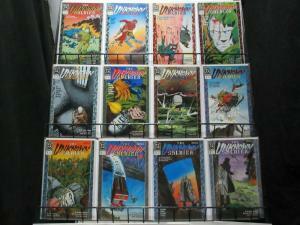 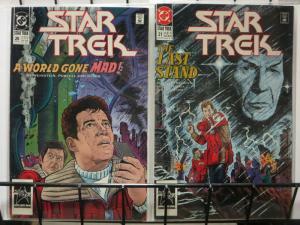 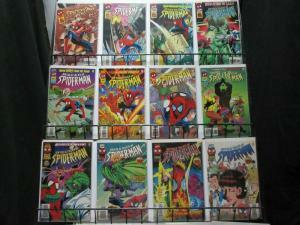 TENTH (1997 IM) 1-4 Complete 1st Mini-Series! 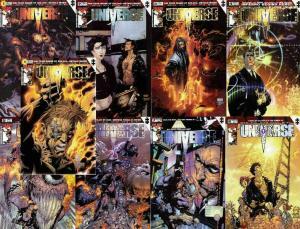 Universe (2001 Image) 1a,1b,2-8 Complete! 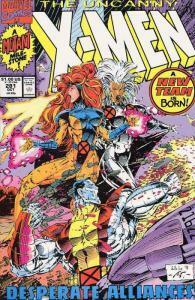 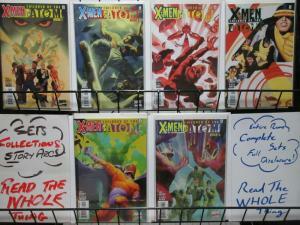 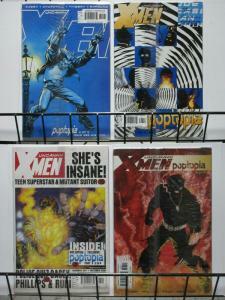 X MEN 395b,396-398 "Poptopia" complete story! 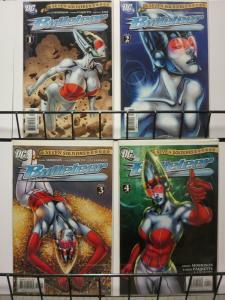 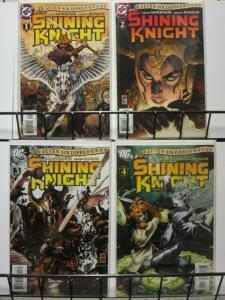 TELARA CHRONICLES (2010 WS/DC)1-4 Video Game Comics! 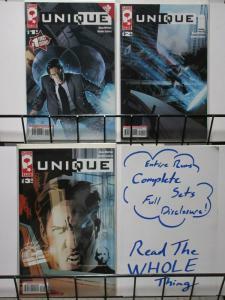 UNIQUE (2007 PLATINUM) 1-3 DEAN MOTTER complete! 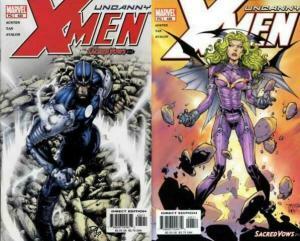 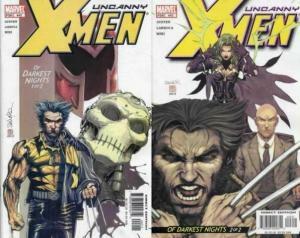 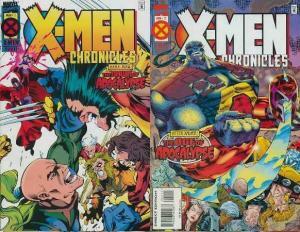 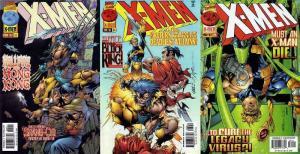 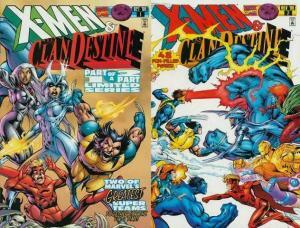 X MEN & CLANDESTINE (1996) 1-2 Complete! 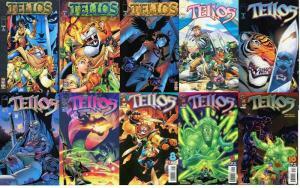 Tellos (1999 IM) 1-10 Complete! 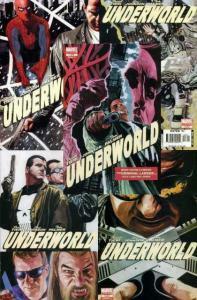 UNDERWORLD (2006) 1-5 complete series! 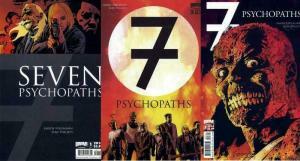 Seven Psychopaths (2010 Boom) 1-3 Complete! 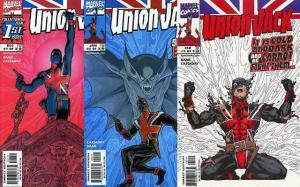 UNION JACK (1998) 1-3 vs Vampires! 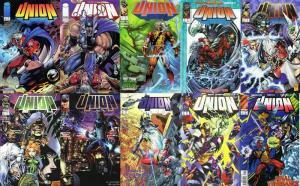 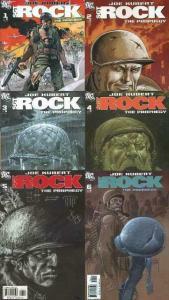 UNION JACK (2006) 1-4 the COMPLETE 2nd series! 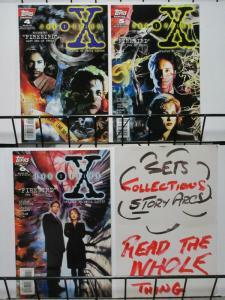 X Files (1995 Topps) 4-6 ""firebird""
TEK WORLD (1992 EPIC) 1-5 ""TEK WAR"" novel adaptation! 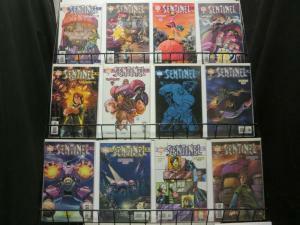 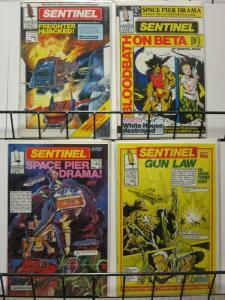 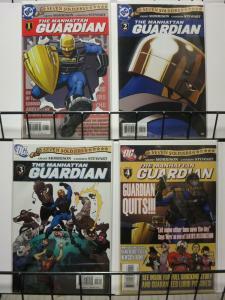 SENTINEL (2003) 1-12 the COMPLETE series! 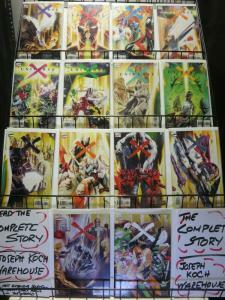 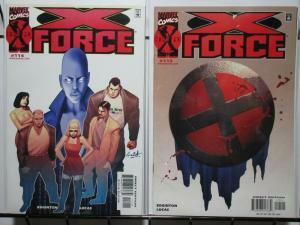 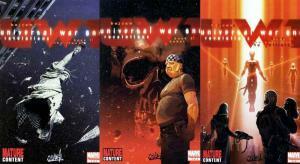 X Force 1 X5 Card Variants Black on White UPC Cvrs!